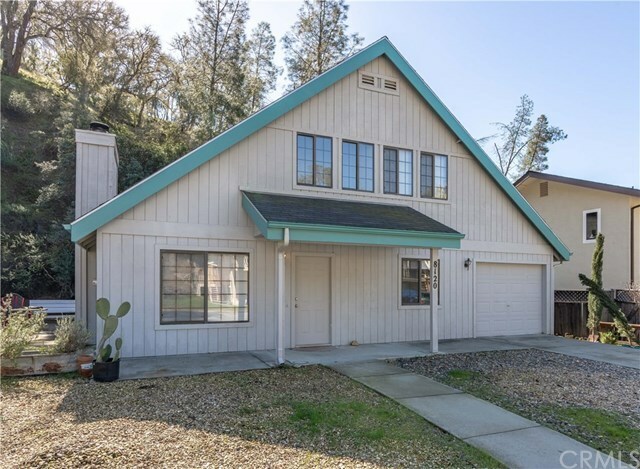 Adorable A-frame cabin with open living concept, vaulted ceilings, two bedrooms one of which is a master and a guest bath all on the main level. There is a huge attic space upstairs that is not included in the square footage. All of the downstairs has fresh interior paint, including kitchen and bath cabinetry and brand new laminate (Winterton oak) floors. There is a nice side patio area for out door living and a large one sized car garage for your lake toys. Directions: Straight at miniature golf course. Turn right at Shoreline. Go down to Cove. Turn left. House on Right.